Best. The best. 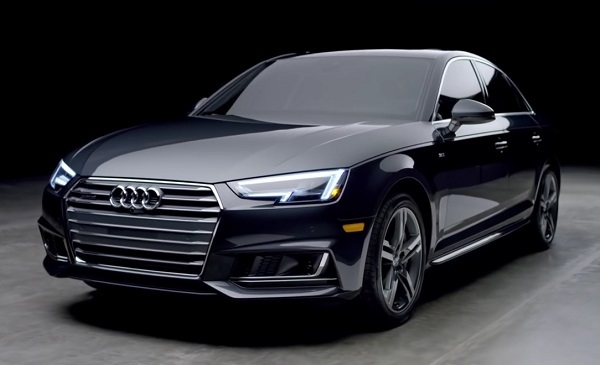 The basis of the model range of the brand of the four rings — a new generation of sedan Audi A4 2017. It is time for happy technological achievements, together with the new Audi A4 2017. Adult and solid sedan combines the best of old and new whatnot. Design has received more than a squat appearance. In front, the German demonstrates LED optics with a «ragged» edges, a revised grille and new sculptural forms in the bumper. In profile, the Audi A4 has not changed, except for the new 18-inch wheels, plus 25 mm in length. Aft meets LED headlamps with asymmetrical edges and two sports tailpipes. Much more significant changes took place in the cabin. Behind the new steering wheel is a huge display showing all necessary information. In unloaded from the center console buttons located a 7-inch multimedia display system, and a small «monitorchika» climate control. Place on the center dashboard takes control joystick navigation and multimedia, as well as undersized lever CPR. The front and rear seats are very comfortable: they will be comfortable both in routine driving to work, and during the passage of high-speed hairpin bends. 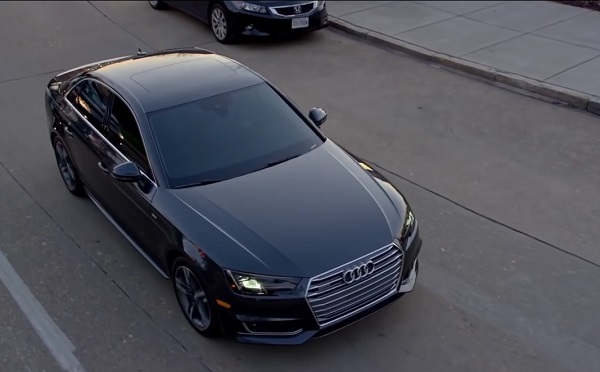 Smart technology, such as the system Audi Turn Assist, will automatically slow down if sensors «see» your desire to travel into the oncoming lane. Separately, all the experts praised the system of adaptive cruise control, which takes into account various factors and respond appropriately to them. Engine compartment occupied by the 2.0-liter turbo engine with a capacity of 255 hp and 372 Nm of torque. Powered powerplant mated to a 7-speed automatic transmission with double clutch. Although lazy upshifts while driving through the city, in the mode of Sport +, the machine works perfectly as a Swiss watch. 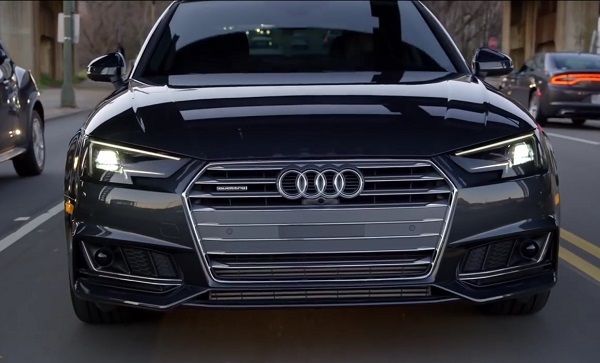 Competent cost at least 1.87 million rubles in all Audi A4 sedan 2017 model year, without taking into account all possible options on the similarity of the adaptive suspension.